Yesterday the sun shone, today another bitterly cold wind blows in from the east. Is it foolish to seek hope of spring in poetry? There’s a kind of answer in the Scottish Poetry Library. Christina Rossetti’s Good Friday was the Scottish Poetry Library ‘poem of the moment’ before Easter but it’s her Another Spring that captures today’s mood. A sad-sweet longing mixed with remorse at wasted time. That fits well with the frustration I feel both with the weather, stuck in seemingly endless winter, and the suspended animation of today’s politics stuck somewhere between nightmares of catastrophe and dreams of utopia. Politics, that tiresome word! The opiate of our time should not be mentioned in the same breath as poetry. Yet, look a little closer and Christina Rossetti’s poetry is no simple escape from the reality of Victorian Britain. Religion and nature are recurring themes in her work (as illustrated in SPL’s two examples ) but the extraordinary life outlined on the Poetry Foundation website shows why this very Victorian woman is also a feminist icon. Christina Rossetti – daughter of the poet Gabriele Rossetti, sister of Pre-Raphaelite painter Dante Gabriel Rossetti – is by no means defined by the males of her family. Unsuccessful in applying to join Florence Nightingale’s nurses in the Crimea, she worked as a volunteer among prostitutes in the Highgate Penitentiary for ‘fallen women’. 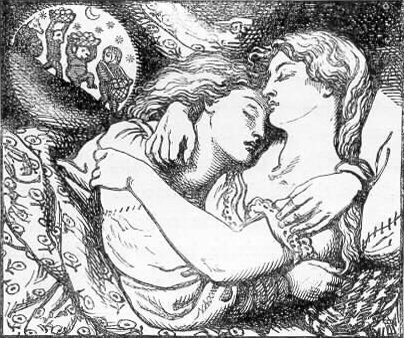 Redemption, sexuality and desire are the suggestive stuff of her best-known poem, Goblin Market, with critics feasting on different, often conflicting, interpretations. From apparently happy childhood to womanhood without marriage or lasting partnership (the ‘mateless nightingale’ perhaps of Another Spring). Bouts of depression interwoven with increasingly fragile physical health – it’s a brief glimpse of a complex life during another time of social and political turmoil. No graves, however, in Another Spring just lingering regrets of a life not fully lived. In that case there’s no time to be wasted. What if, what if… if/when winter finally lets go, we should be wholeheartedly glad, and hear ‘music in the hail’ today. Featured image: Better days to come? 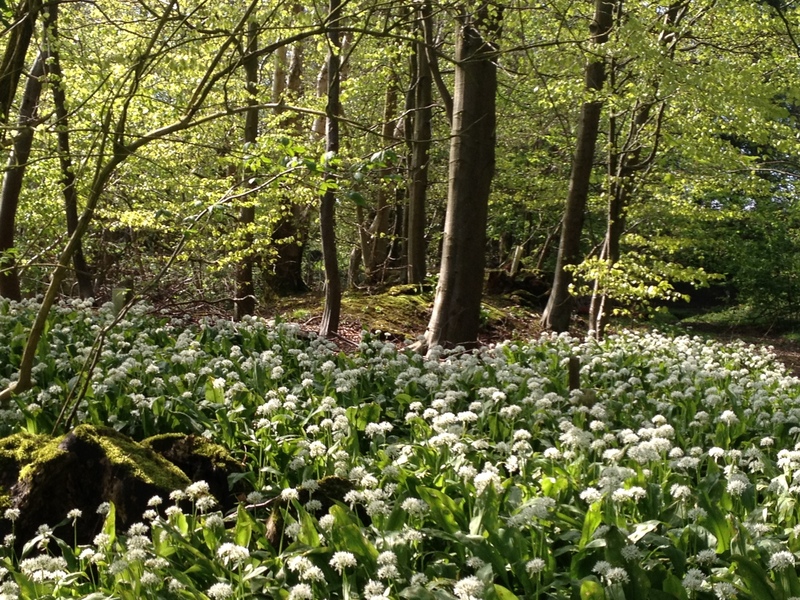 Wild garlic in unfurling beech wood, by Fay Young.